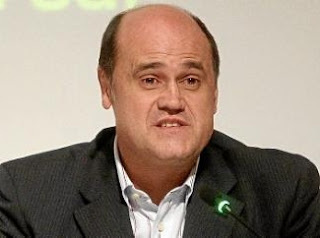 Fernando Gomez the former Valencia CF sporting director under Manuel Llorente and previous presidents announced a bid to become president of Valencia CF at the next presidential elections, which are this summer. Everyone with shares over a certain numbers can vote and while Llorente's "Valencia CF foundation" holds the most shares right now, he can easily be ousted if doubts start arising. He is accompanied by José Manuel Romero and Javier Villalonga. They have launched their campaign which is called "Sempre Valencia" which is basically a set of plans and ideas how to "fix" Valencia CF. "The delicate situation of Valencia CF is forcing us to act now and start our campaign Sempre Valencia. This is a set of plans to help solve Valencia's problems that have weighted down on the club. We are aware of the gravity of the situation, but we are confident we can solve the situation. 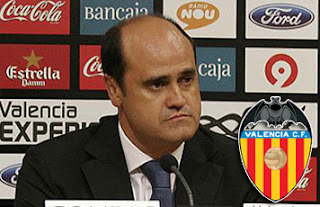 Our first step is to solve the internal problems within the club(he means a purge) and current Valencia CF president Manuel Llorente needs to resign right now, as he promised he would if a person who can fix the situation came along" said Fernando Gomez on the press conference. "We have studied the situation at the club closely and carefully and we will eradicate this erroneous policy that has been followed by Manuel Llorente(he means the amazing job that Llorente has done will be eradicated) and the time is now. My conscience requires me to appear before the Valencisnistas with an exciting project to bring the club back on its feet. I promise not to receive any compensation for the work I will do until we achieve the much needed economic stability and sell the land of the club(Don't know if he means the stadium and which one). Once that is achieved I will only receive a salary that is half what Llorente earns. If we fail in our plans and within 18 months we can't achieve what we promise we will leave(that is a lot of promises there buddy boy!)." Said Gomez further. He went on to criticize the transfer policy? of Llorente: "Llorente's transfer policy is terrible and the loss of Isco and Alba is a tragedy to this club and example of the terrible transfer policy by Llorente. Our youth players also also leaving the club and that is normal now. When I was sporting director we didn't have youth players leave for Real Madrid and Barcelona" Gomez boasted. Juan Romero had this to say: "The sale our our top players like Villa, Silva and Mata only went for fat salaries of Valencia CF officials and not to pay off the debt(Gee, from 550 million to 370 million isn't debt reduction, what amazing math this guy has, sure hope this is not the math he will use if in charge of Valencia CF and destroy the club). They promised the sale of these players would go to reduce the debt, but this has not been the case and the transfers have been used to line up the pockets of Llorente and his friends." There you have it ladies and gentlemen, the presidential contenders for this summer elections. I don't know if you buy this stuff, but I sure don't. In fact I'm so sick and tired of this false charade that I will write a nice, long editorial about Llorente and the facts from my unbiased perspective and huge knowledge of the club history and events.